Turning 10 is a big deal for any kid, but Sunday was an extra-special birthday for Adam Liebman. He turned 10 on 10/10/10. The West Hartford boy celebrated with a party at an indoor water park. "We had to pick like 10 kids, and we picked them," he said. 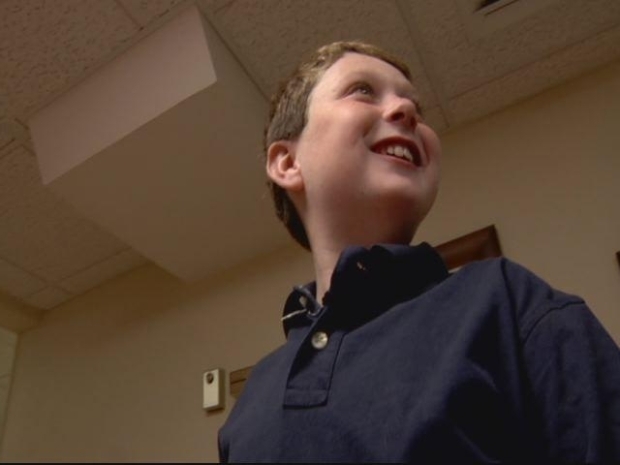 Adam Liebman's 10th birthday is one he and his family will never forget. It happened on Oct. 10, 2010. Statistics show that about 10,000 people are born in the United States on any given day, so as many as 10,000 people could have turned 10 on this milestone date, but that does not lessen the enjoyment Adam got from the state. “This is a once in a lifetime kind of day," his father, Todd said. “A lot of his friends and schoolmates and teachers have made a big deal about. It's something unique."